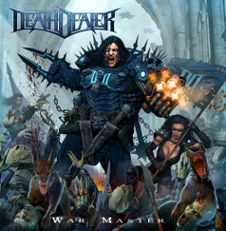 Great metal project band DEATH DEALER will release their debut album "WAR MASTER" through Steel Cartel Records on June 14th. The band has a record deal in Japan and the Japan version contains 11 tracks is set to be released in Japan on June 12th. The band not only offers first class Metal that this scene has not seen for a long time, but Death Dealer is a real allstar line-up: Sean Peck (CAGE) on vocals, Stu Marshall (DUNGEON) and Ross The Boss (ex-MANOWAR) on the guitars, Mike Davis (HALFORD, LIZZY BORDEN) on bass and Rhino (ex-MANOWAR) on drums. 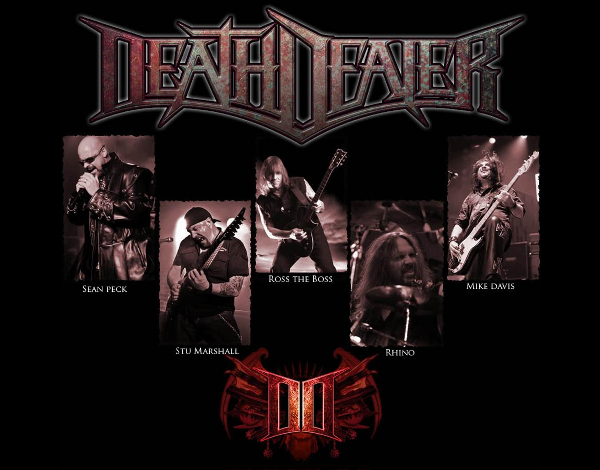 The musicians have known each other for several years already and have always valued each other as musicians before Sean and Stu created the idea about one year ago to bring Death Dealer to life. The music these well-experienced guys come up with is dynamic and aggressive in a very positive way. Rock and Metal fans who love straight, strong and heavy Metal will more than love what they hear. DEATH DEALER will have the Japan Tour in November. Stu Marshall talks about his gear and a Japanese bonus track "Triumph And Victory"